Dana Eikenberg is at her best working with smart leaders and high performing teams. Her gift is to help them improve their operations with high energy project and event management, combined with honest, values-driven team leadership. 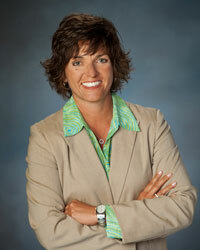 Dana’s served the past three years in the fast-growing senior living sector in Southwest Florida. She led American House Coconut Point, managing through the year-one startup challenges as well as safely implementing full evacuations from Hurricane Irma, and dealing with the aftermath. At The Terraces at Bonita Springs, Dana applied her energetic people skills to revive the social and wellness programs, focused on keeping residents involved and strong. In just one year, participation at Terraces events rose over 50%. A former Division I college basketball head coach, Dana also serves as a consultant to leaders, coaches and administrators who want to stay focused on their teams and results and need help behind-the-scenes. Experience in managing projects and budgets, innovating new solutions and adapting quickly to changing circumstances. She’s a graduate of the Bonita Springs Area Chamber of Commerce’s Leadership Bonita program and a resident of Bonita Springs, Florida.